BBQ Grill Brush Just $8! Down From $50! You are here: Home / Great Deals / Amazon Deals / BBQ Grill Brush Just $8! Down From $50! Say goodbye to grease and grime! Don’t miss this deal from Amazon. Get this Stainless Steel BBQ Grill Brush for just $8.00, when you apply the extra $2.00 discount coupon located below the price, down from $49.99 PLUS FREE shipping with Amazon Prime for orders $25 or more! Nobody wants a dirty barbecue grill! 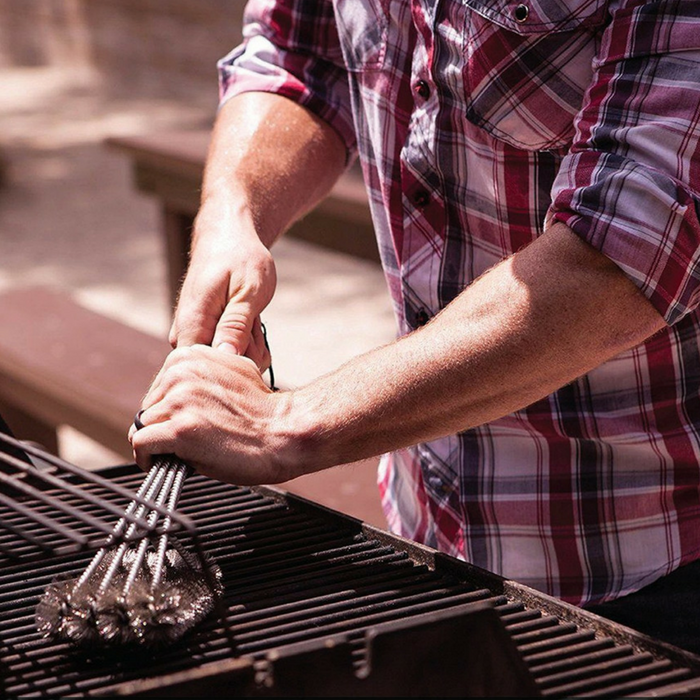 Say goodbye to all the grease and grime with this Stainless Steel BBQ Grill Brush. This grill brush is the ultimate grate cleaning that is designed to remove the grease and grime without scratching your grill. It is effective on all grill types including porcelain, ceramic, charcoal, infrared, and more!